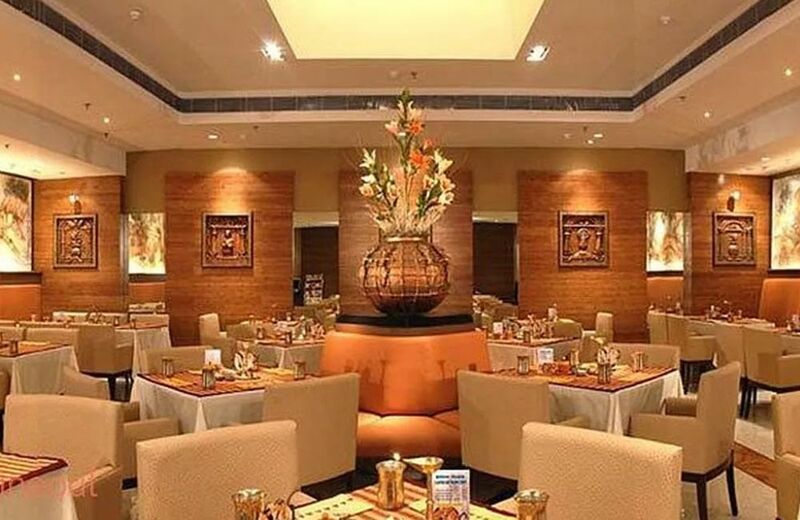 The City of Joy is one of the hotspots of the universally famed Indian cuisine, simply because of all the culinary influences that have converged here over the centuries. Being a coastal city, there was never a shortage of seafood and it has always been a staple here. But, then when the Mughals arrived and brought with them the delight of spices, the game of Kolkata food was upped. Followed by the British who made it their seat of power for a good two centuries, during when they further diversified the taste of Kolkata. Somewhere during that time, the Chinese immigrants arrived and really revolutionized the Indian food scene with their flavours. The first taste of Indo-Chinese food was the gift of Kolkata to the rest of the country, and it has evolved into a fully developed international cuisine unto its own since then. Here’s the list of the most popular restaurants in Kolkata that are a must-visit to sample the best of food offered in the city. This legendary café opened in 1927 and will be completing a century in just 9 years. For any food joint to last that long, the food and the service must be amazingly good. And that is exactly what we hear from the locals. Pretty much everyone in Kolkata has visited a Flury’s outlet at least once and has a story about the time they spent there and had their famous cream cakes or sandwiches. Some of the best dishes on the menu are Chicken patties, rum balls, strawberry cubes, among others and there is always a pot of Darjeeling tea to be had! If you are a fan of simplicity, you will love the Aminia chain of restaurants. 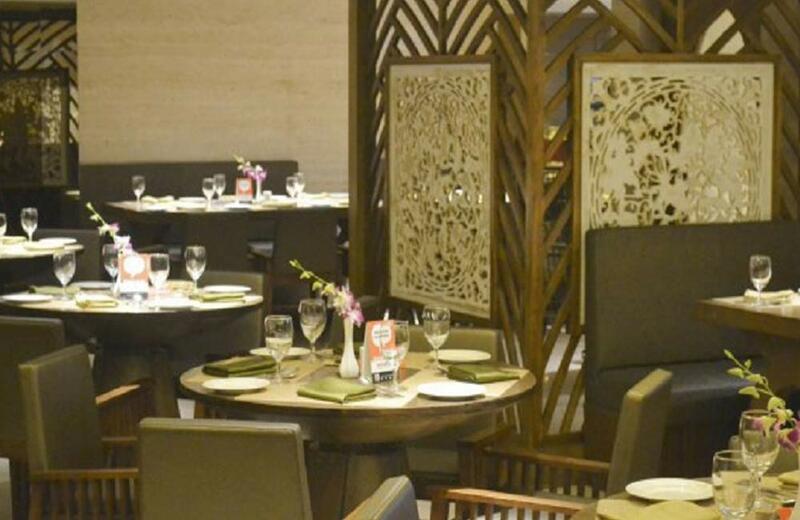 The interiors of these restaurants are minimalistic; it has sober cutlery on the walls, giving a homely ambience and the food here only compliments that sentiment. The best part is this particular restaurant is very easy on the wallet which makes it a perfect place to have scrumptious food! Mutton Reshmi Butter Masala and Chicken Cheese Kebab are some of the most ordered dishes at this restaurant chain. One of the local favourites when it comes to buffet restaurants in Kolkata, 6 Ballygunge Place is synonymous with the Ilish Festival. Just for the festival, Chef Sushanta Sengupta rolls out a unique menu of lip-smacking delicacies. Aligning perfectly with the seasonal availability of fishes, the festival is incomplete without tasting what 6 Ballygunge Place has to offer. But, the festival is not the only time to visit this restaurant, especially for fish lovers. Crazy dishes like the Kacha Aam Diye Ilish Macher Roll, Begun Ilish Jugalbandi, and Pur Bhora Morich Ilish, and many others adorn the menu here. 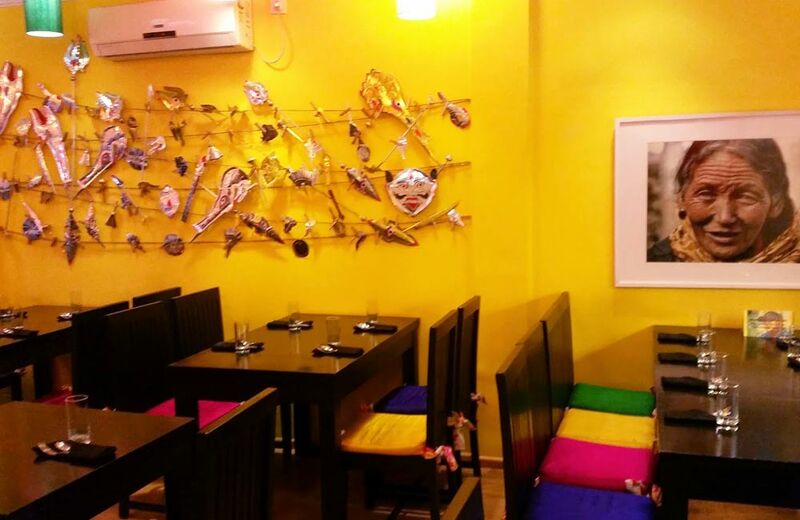 A pescatarian’s haven, it is a must-visit for all fish lovers who visit Kolkata! Despite the English name, this place is as royally Indian as it gets. Reminiscent of the Mughal times, waiters traipse around with turban and tails as they serve the never-ending line of local foodies. One of the most loved restaurants in Kolkata Park Street, the food served here is on another level. 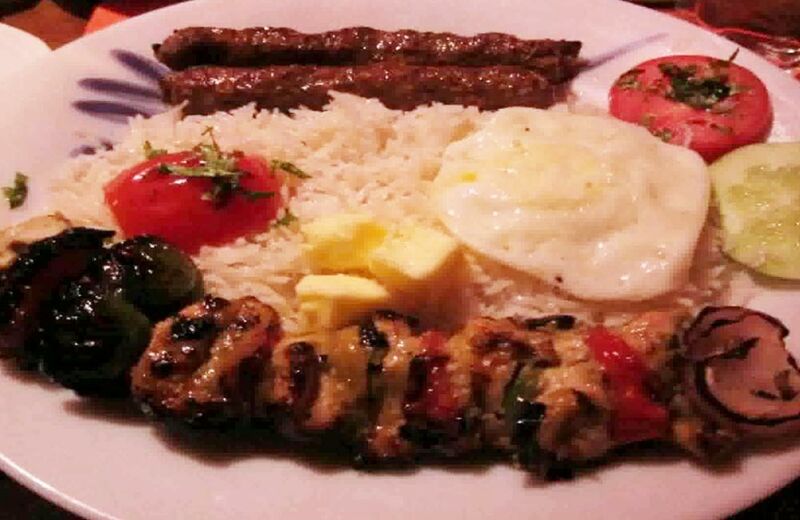 Recipes that have been passed on for centuries make you travel back in time with each bite into the infamous Chelo Kebab platter. Similar restaurants in Delhi have been fading out over the last decade, but Peter Cat is resilient to the changing tides. And our taste buds are very grateful for that! The first thing you smell when you are around this restaurant is the aromatic combination of cardamom and coals burning. This is the biggest reason that the tables get filled quickly here apart from the fact that it is located on one of the busiest streets of Kolkata, next to the Park circus. People walk in entranced by the aromas escaping the restaurant and end up having a mesmerizing meal. 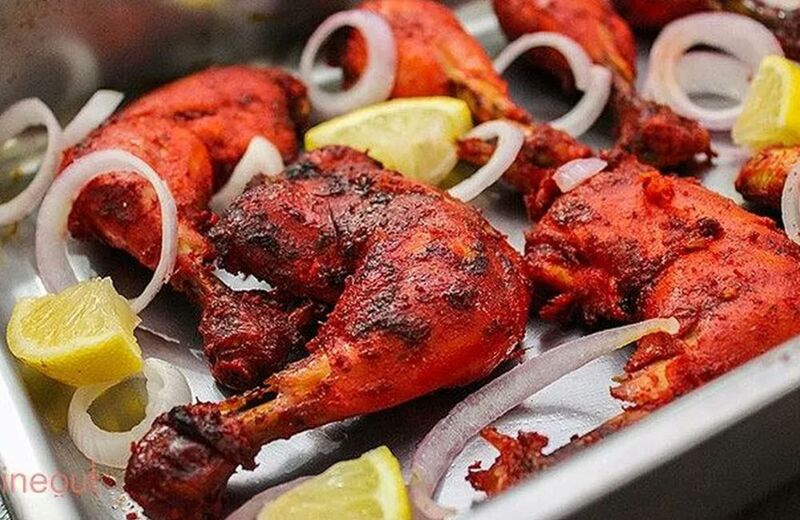 Some of the best Tandoori chicken and Mutton in Kolkata is served from Zeeshan’s kitchen, so do not miss out on this gem! 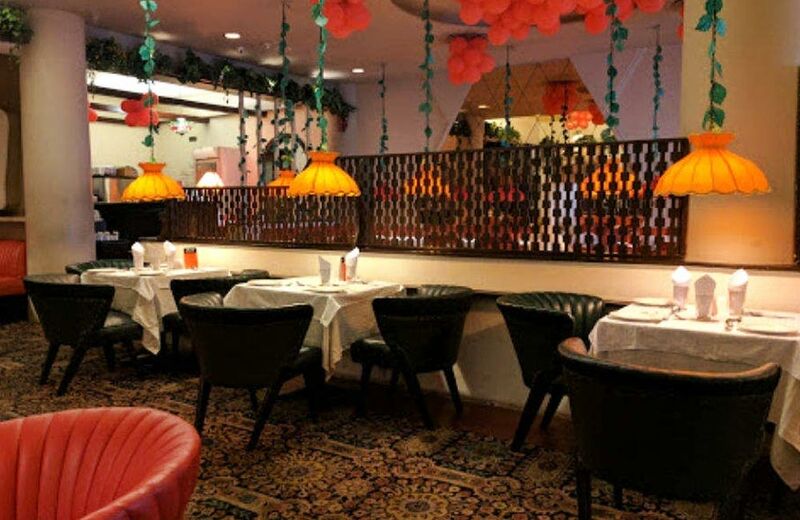 Another one of the classic restaurants in Kolkata Park Street, Mocambo is an integral part of the city’s food culture. Owned by the food-royalty of Kolkata, the Kotharis, it is also one of the oldest establishments in the city. The menu has not even changed a bit since 1953, as the locals like to brag. The Old Calcutta was infamous for its take on Continental food and that is best represented in the Mocambo’s menu. With unique items such as the over sauced prawn cocktail and devilled crabs, this cult restaurant is one of a kind! 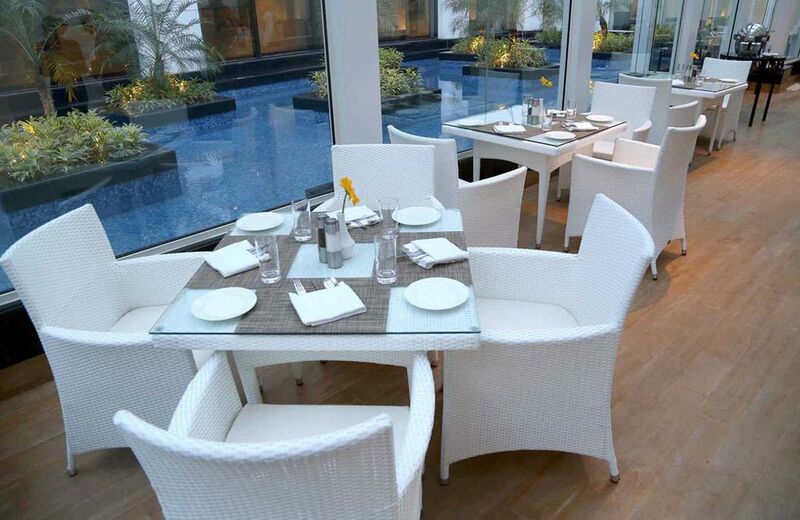 Named aptly, this restaurant is perfect for an important meeting, be it professional or personal. The ambience of the restaurant itself gives a sense of importance to whatever discussion happens there, it seems. Being a multi-cuisine restaurant, the menu bounces around from traditional Punjabi, Kolkati, Indo-Chinese and Bengali to Continental. A real all-in-one buffet is also available for lunch and dinner! 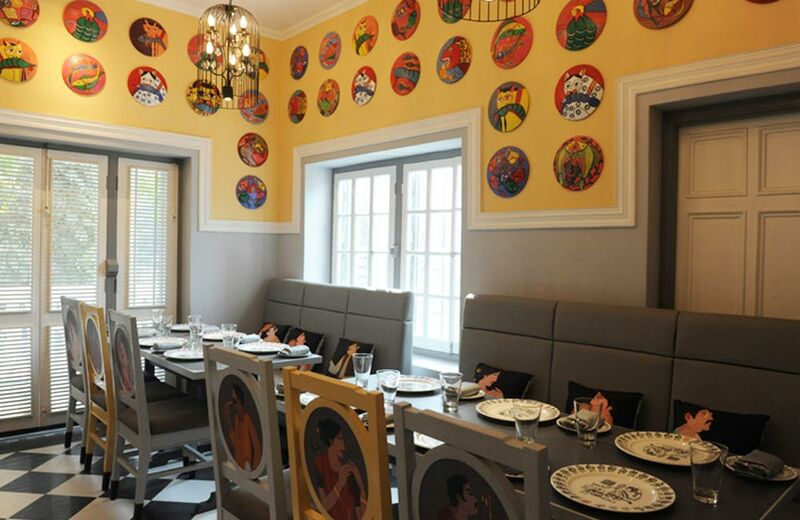 Within a colonial-era hotel, this restaurant was given a complete overhaul by a young entrepreneur named Megha Agarwal. She was able to hold onto the vintage ambience despite having to renovate the place, and it shows in every little thing. And just as ornate the furniture is, so delicious is the menu. Catering to tastes from around the world, the menu is quite interesting! Continental dishes such as potato wedges in cheese fondue and honey-glazed grilled chicken are the chef’s specialty! Just like the famous saying “When in Rome…”, when in Kolkata, you should undoubtedly experience the magic of Mughlai cuisine. One of the central hubs of the Mughal empire before it was taken over by the British, Kolkata retains quite a few recipes from that era. 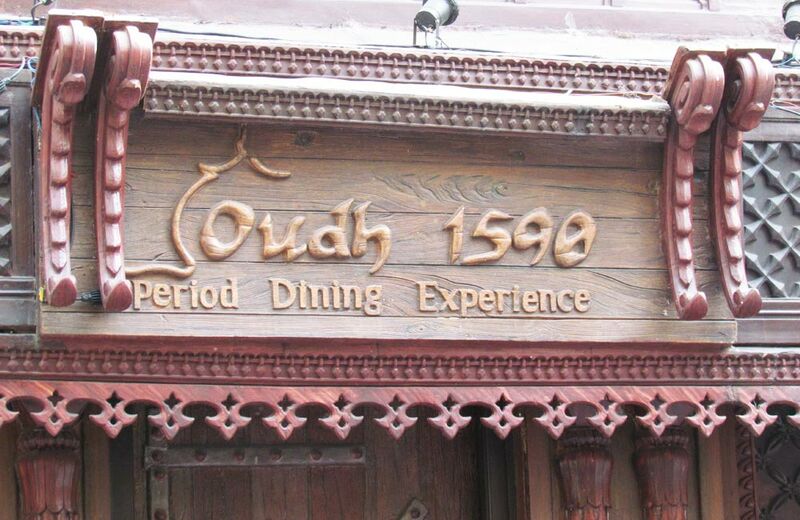 And the Oudh 1590 is one of the best places to experience that same taste. With the décor matching the contemporary times, one almost feels transported to the past. The Nehari Khaas and Raan biryani come highly recommended from regular visitors! Contrary to the images of toast being lathered up with jams of all sorts that comes to mind on reading the name, the “Jam” in this context refers to music! One of the nicer newly opened restaurants in Kolkata, it shows a lot of promise. A haven for the young rebels who just want to be lost in their guitars and pianos, this restaurant also serves a meal menu. 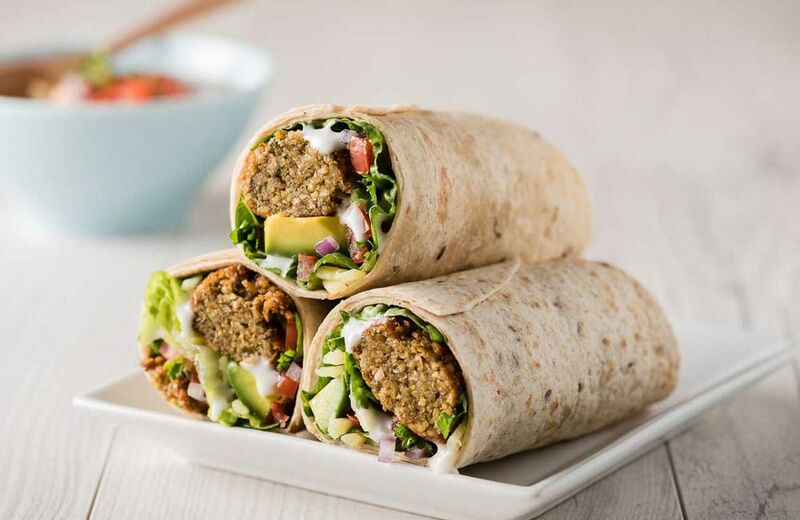 The delicious falafel wraps, pan-fried momos, and banana shake go perfectly with the amazing music that plays in this restaurant. If you are a music lover, you will find your ilk sitting around jamming to some heady tunes at the Jam house! Another chain restaurant, this one makes it to the list because of its incredible fusion of two very different cultures, namely French and Indian. The dishes are Bengali recipes per se, but they are influenced by French techniques of cooking and flavours. Serving both thalis and a la carte, it is a unique place to experience two unrelated cultures fuse so seamlessly. If you visit this restaurant, make sure to have the Zamindar thali! Alfresco is an upscale restaurant with all the bells and whistles that you would expect from a luxury dining experience. The ambience is classy, with sober seating arrangements that allow you to have privacy while not being completely secluded. The buffet here is to die for with several lucrative offers; the al a carte is rather expensive! 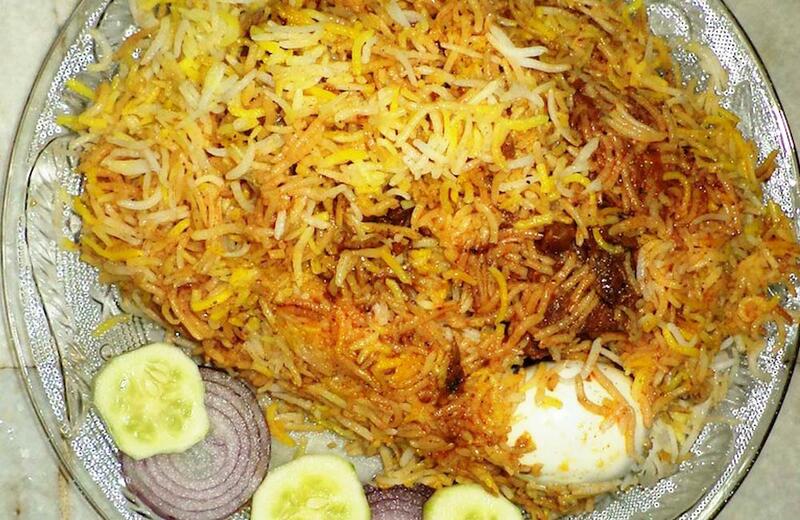 The biryani, kosha mangsho, and pulao are some of the best dishes served here, so make sure you do not miss out on them! 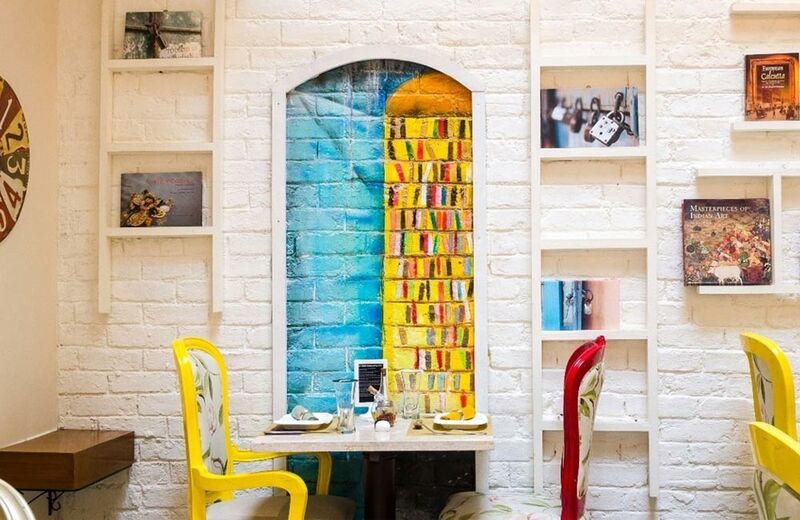 Pride of Chef Joy Banerjee, Bohemian lives up to the aesthetic it was named after. The winning formula here is the refinement of recipes that are already Bengali classics, adding a touch of nostalgia to the taste. The classic lentil risotto with hilsa croutons is a favourite of locals, along with malpua cheesecake for dessert. Bringing out the big guns in the kitchen, Bohemian is definitely worth a visit if you are a food fanatic and love authenticity! Among the rare Italian restaurants in Kolkata, La Cucina surely knocks it out of the park with its extensive menu! Located at the Hyatt Regency, the highest tier of Hyatt hotels, it was expected to be par excellence, and it certainly delivers. Sunday brunch at La Cucina is a regular part of the average Kolkata intellectual’s day plan and it is for good reason too. With jaw-dropping pizzas, pastas, and everything with cheese, veggies, and chicken in it, the menu is quite stellar! 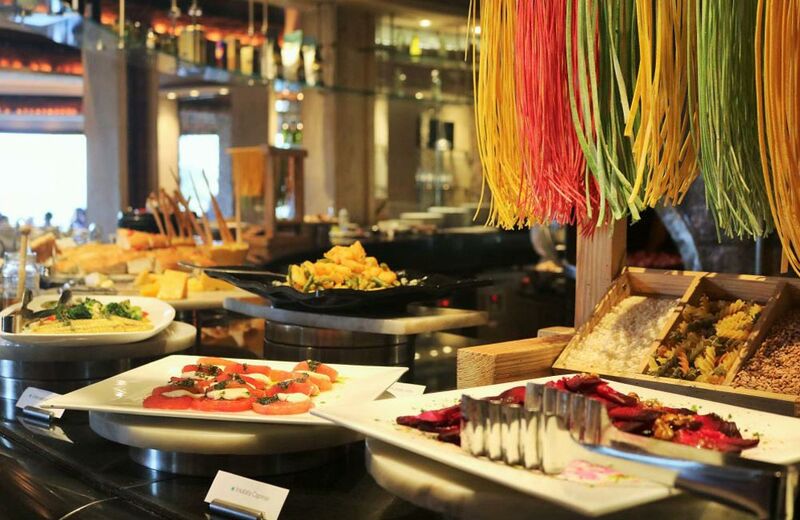 So, if you are biased towards Italian food and have some money to spare, a Sunday brunch at La Cucina sounds just about right for you! Three words come to mind when trying to describe this kitchen: hospitality, humility, and delicious food. 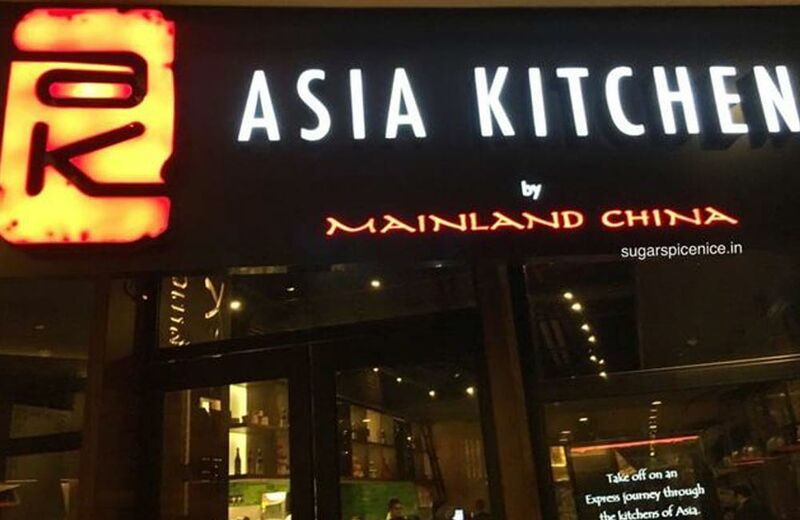 The finest Chinese Kolkata has to offer resides in the very aptly named Asia Kitchen. Some flavourful recipes such as the Chicken Nasi Goreng and the classic Stir-Fried Rice make this place a hallmark Chinese restaurant. And that is saying a lot, Kolkata being the hub all things Chinese in India. In a way, it serves the best Chinese food in India, because it is the best Chinese food restaurant in Kolkata, and that is only one reason why you should eat here when in the City of Joy! Well, if you have made it this far, you better be! These are only some of the many popular restaurants in Kolkata, with a hundred more just waiting to be discovered. A city that has deeply invested in its cuisine, Kolkata is a foodie’s Mecca! So, whether you are just visiting or are from here, this list has something for everyone! Just get in the car, train, or plane, depending on how far you are and take a trip down to Kolkata’s bustling lanes! 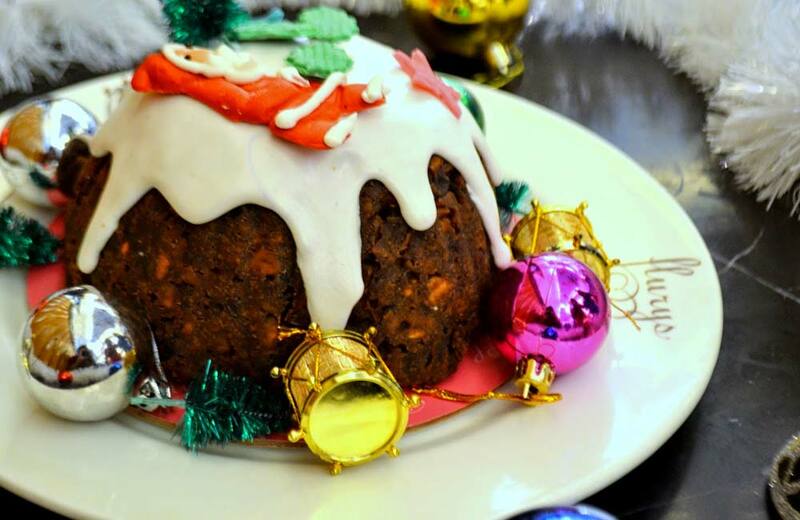 Bon voyage, or should we say: Bon Appetit!